A light take on chicken and cherry salad. Chicken, cooked, diced 3 lbs. Combine chicken, cherries, celery, sage and Hellmann's Light Mayonnaise. Season with salt and pepper. 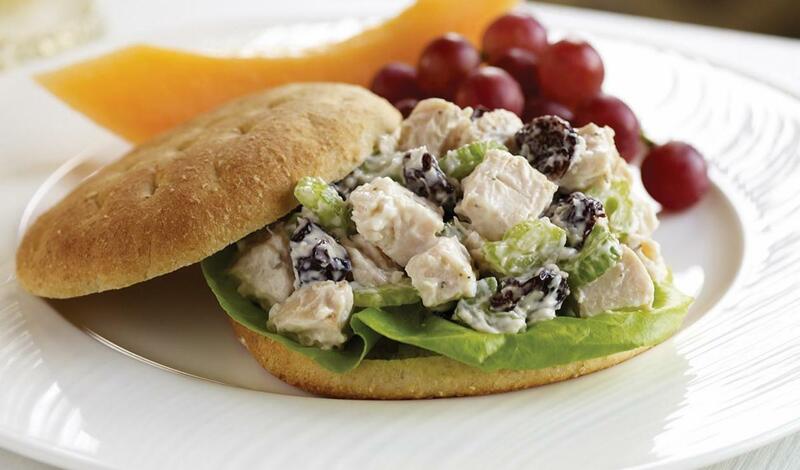 Place chicken salad on bottom of sandwich thin. Top with lettuce leaf; replace sandwich thin top. Serve immediately or hold refrigerated until service.